All of us are using smartphones every day, right? Many of us use smartphones to call, for entertainment, etc. Do you know that you can make money with your fingertip? Instead of wasting your time playing games, you could be adding some extra money to your digital wallet! You don’t need to know how to code to make money with apps. You can make money right from your couch by simply downloading a few applications. You probably already know that there are apps you can use not only for entertainment but for earning extra money. But, you may not know about those apps. One of such apps is MyAppstaller. MyAppstaller is one of the apps that makes you money by installing it and doing very little work on it. Here you have to install the MyAppstaller and get paid for downloading, installing fun apps and playing cool games. MyAppStaller is an application for Android users, that gives you an opportunity to earn money from your leisure time. All you have to do is to sign up to this app and create an account with your existing email ids. Then you are just one step away from earning money. After installing the app, you will be offered to install some apps or you also have the option to play some online games, below tach app or online game. Calculating the number of reward points by completing these actions will earn you money. By collecting a certain amount of points, you can easily redeem them in the form of gift cards or real cash. You can make money simply by installing mobile apps and playing games with every device you have in your home. MyAppStaller helps you make money by installing mobile apps whether it be for your Android device or IOS such as iPhone, iPad, and Tablet. You can make money installing apps and playing fun games with every device you have in your home. We have a large CPI (Cost Per Install) inventory of mobile apps and games for you to install and make money from. How to make money through MyAppstaller? 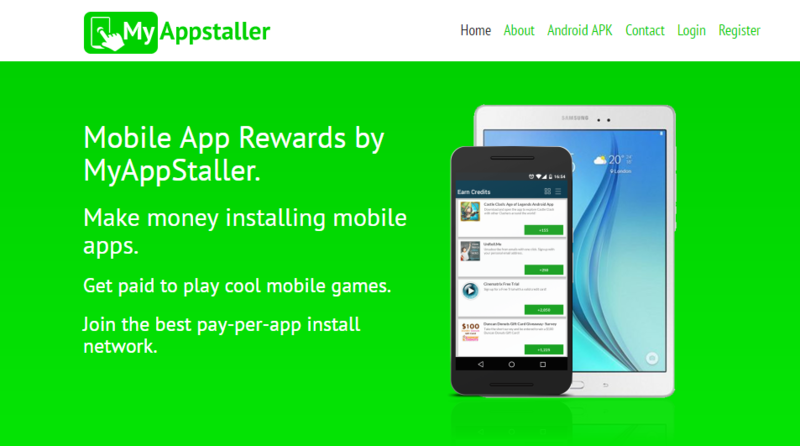 MyAppStaller which is a Cost per Install (CPI) mobile affiliate network provides opportunities not only for affiliates who want to make money installing apps but also for app developers and the investors in mobile media. It is definitely a lucrative market for everyone involved. The users have to install the app and use it in order to get paid. At the same time, the advertisers are also charged only when the users install the app. The CPI model has already dominated the industry and the next in line is the pay-per-install for users. From mobile publishers to media buyers, there is more advantage than ever for them when they present offers through this network. All the apps listed here are 100% real, reliable and secured. All the devices that run on Android and iOS can be used for installing the apps. The best thing is that there is no need for initial investment. The more installations they do, the more the users get paid. The payment terms are also transparent. The payments can be requested after 30 days by regular users. And advanced users can request for faster payments on a weekly or fortnightly basis. Advanced users are those who can guarantee a high volume of installs. It is useful for students to earn some additional money for their pocket cash with fewer efforts. The app is available in 200 different countries. There is also Twitter and Facebook integration to share with your friends. There is also a referral key option by sharing which you get a reward of some free points. MyAppStaller is rated 4.5/5 by its users. People who all used the MyAppstaller were satisfied with the app and making money through it. So what else you need? Download the application free for your Android gadgets with no cost and earn some extra money. We have already mentioned on countless occasions that the mobile phone is one of the most versatile devices we can find today. 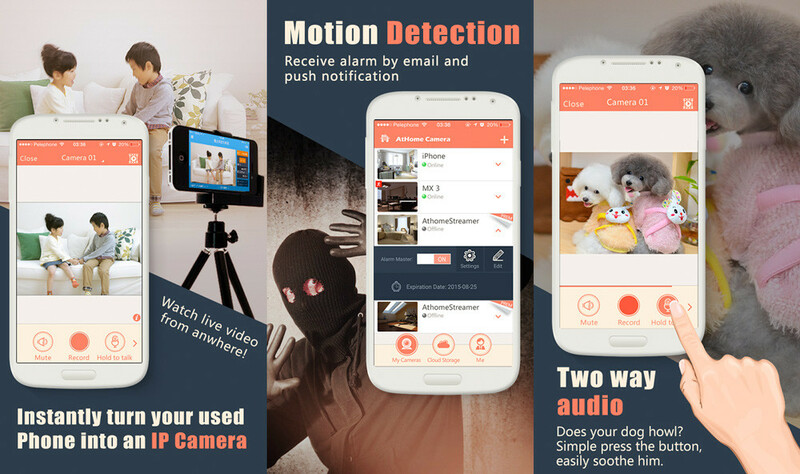 Among the wide variety of uses, we can also use our mobile as a surveillance camera, something we can do quite easily as long as we select the right applications. Isn’t it amazing? The ideal thing for this is that we use a mobile that no longer occupies the position of the main device for us, and thus, we can give a second chance taking advantage of his camera. Let’s see which are the best-dedicated applications that we find currently for all operating systems. Here, I am going to list all the seven applications which help to turn our mobile into a surveillance camera. Let us check out the list now. This application is one of a complete one that we are going to see. It has motion detection and also allows us to set the time periods in which we want to start or end recording. We can configure the notifications on our phone so that it notifies us in the case of perceiving movement. The At home app supports Android and iOS devices. You can download them from the Google Play Store for Android users and the App Store for iOS users. Athome is rated 4.4/5 by its users. This application also detects movement and also sounds. It offers an ordered chart with all the activity and noise peaks recorded during the time period we select. We can view the live that you have recorded to camera from the app in our mobile or from the web browser in the desktop version. Manything app supports Android and iOS devices. You can download them from the Google Play Store for Android users and the App Store for iOS users. Manything is rated 3.9/5 by its users. We can not leave the Windows Phone users without a corresponding application for them. My Webcam is compatible with Windows 10 and allows us to use the mobile IP camera as long as the device we have has a memory RAM greater than 512 MB. In this case, it is not free and has a cost of 3.99 euros. My webcam costs 3.99 euros, in India it costs Rs.252. This application is one of the easiest one to use. We only need a Google account and have to open it on both the devices. We can set the quality of recording and retransmission and we can review all the records for fourteen days. 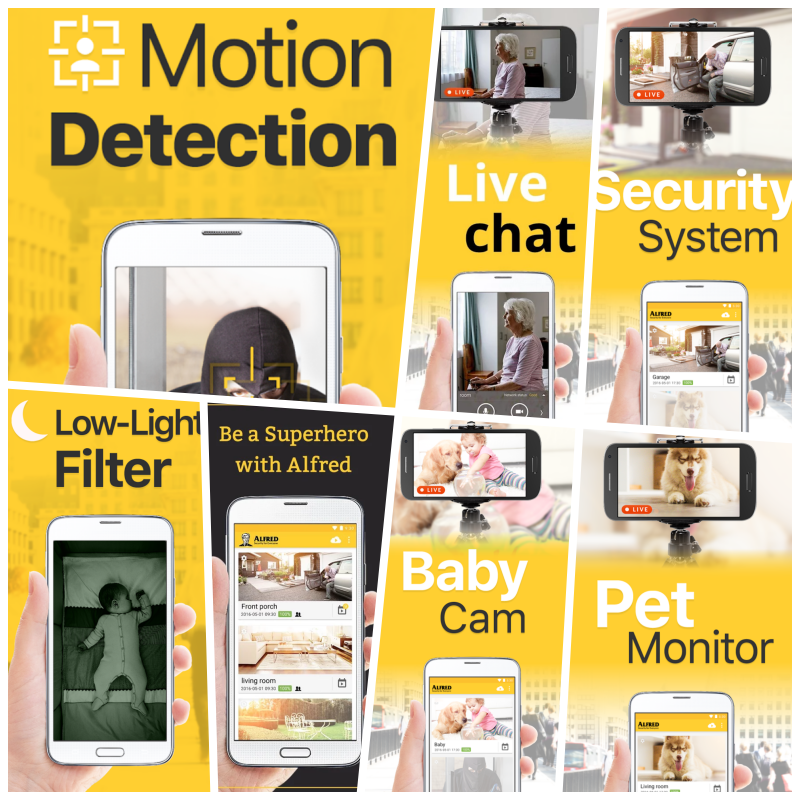 Alfred app supports Android and iOS devices. You can download them from the Google Play Store for Android users and the App Store for iOS users. Alfred is rated 4.4/5 by its users. This application works in a similar way to the rest but it has a little difference: it is that we can save the records and also configure it to save it automatically in iCloud, OneDrive, Dropbox or Google Drive so that you can review them without having to touch the phone. DVR. 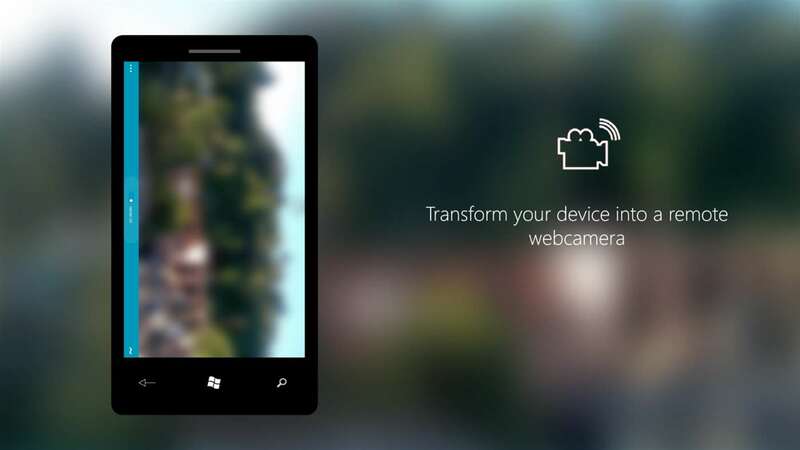 Webcam app supports Android and iOS devices. You can download them from the Google Play Store for Android users and the App Store for iOS users. DVR.webcam is rated 3.0/5 by its users. Another application that detects movement and that notifies us by an SMS or email if there is any alteration. In addition, Salient Eye provides a link to access content that has been recorded during that period of time. In addition, it also allows activating an alarm that announces to a hypothetical intruder that has been detected. Sailent Eye app supports Android and iOS devices. You can download them from the Google Play Store for Android users and the App Store for iOS users. Sailent Eye is rated 4.4/5 by its users. Finally, we have Presence, an application that even offers up to 50GB of encrypted storage in the cloud to store all recorded videos. It also has a system of notifications and with different complements to configure it to our liking. 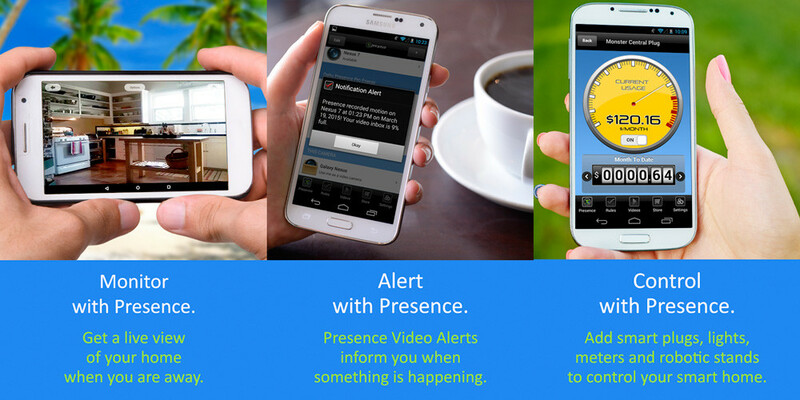 Presence app supports Android and iOS devices. You can download them from the Google Play Store for Android users and the App Store for iOS users. Presence is rated 4.0/5 by its users. These are the seven best apps so far that turn our mobiles into a surveillance camera. If you know any other best apps which turn our mobile into a CC cam then let us know in the below comments. If you are facing any difficulties while you are downloading the app or using it, write them in the below comments. We will help you to solve all your queries as soon as possible. Which app do you use most to turn your mobile into a Surveillance camera? As every year, Google wants to highlight the best Android apps available in the Google play store to encourage the app creators, reward them for more visibility and demonstrate that there is quality on their platform. This has not been a different year and in the framework of Google I/O 2017, the company has announced the winners of the best android apps from different categories. 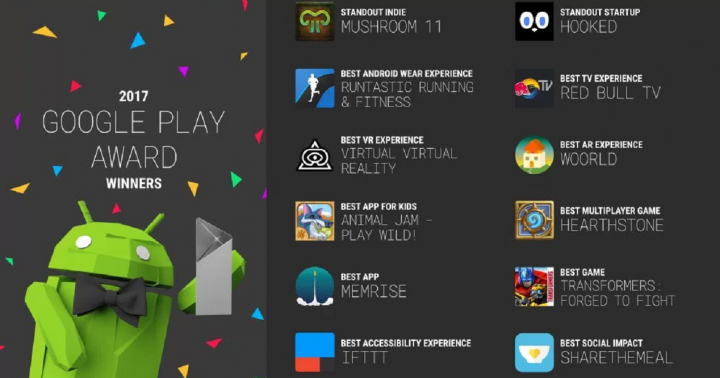 Let us see which apps stood up first in this Google play awards 2017. In this section, we find the most original game in terms of Indies, which is about how to survive being a new way of life in an apocalyptic world. You can download Mushroom 11 app from Google play store and it is a little bit pricey. Mushroom 11 Android app is rated as 4.8/5 according to its users. This time we found a different and original application. An application that allows us to chat in the form of stories in the pure Snapchat style. You can download Hooked app from Google play store and it is free of cost. Hooked Android app is rated as 4.4/5 according to its users. Well yes, one of the most famous applications in terms of sports and healthy lifestyle has earned the price as the best experience in Android Wear. This application is fully optimised for smartwatches. You can download Runtastic app from Google play store and it is free of cost. Runtastic by Android wear Android app is rated as 4.5/5 according to its users. This app has not won one of the best-known apps in his industry, but thanks to its nice interface, fluid performance and the great experience it has with live videos. All these points helped Red Bull TV to won the prize. You can download Red Bull TV app from Google play store and it is free of cost. Red Bull TV Android app is rated as 4.3/5 according to its users. There is no better name for the winner as the best Virtual Reality application, which is only compatible with DayDream and will take us to a world set in the future in a spectacular way. You can download Virtual Virtual Reality app from Google play store and it is a little bit pricey. Virtual Virtual Reality Android app is rated as 4.8/5 according to its users. We continue with other types of realities and we will see the augmented reality, and of course, it will be related to Project Tango. Woorld application is the best that allows us to interact with our environment. You can download Woorld Augmented Reality app from Google play store and it is free of cost. Woorld for Augmented Reality Android app is rated as 4.2/5 according to its users. The best application for children is the one that will allow us to play online with other people in a world of games for children. Without the doubt, a best well-known app but totally focused for children. You can download Animal Jam app from Google play store and it is free of cost. Animal Jam Android app is rated as 4.6/5 according to its users. One of the best games of last year. Without a doubt, it is the app that takes the best multiplayer game, created by Blizzard. The game HearthStone takes the card game in a way other than mobile. You can download Hearthstone app from Google play store and it is free of cost. HearthStone Android app is rated as 4.4/5 according to its users. 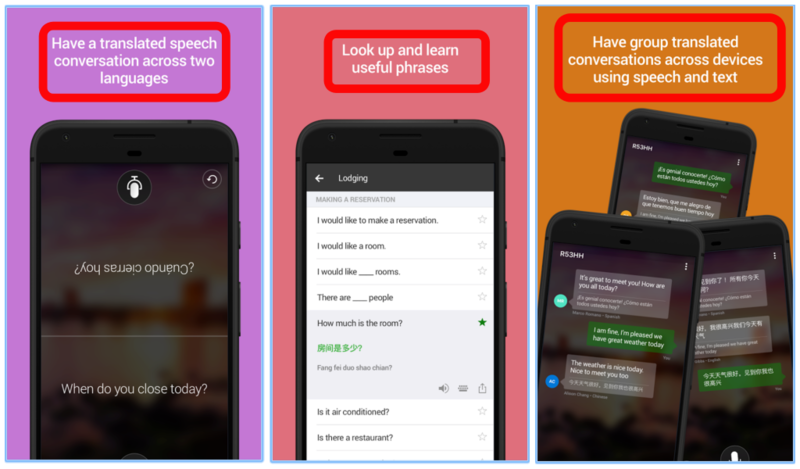 If you want to learn other languages Memrise is the best app choice to get started with. This app allows us to learn languages interactively and has been voted as the best app because of its great ability to teach a language. You can download Memrise app from Google play store and it is free of cost. Memrise Android app is rated as 4.7/5 according to its users. Transformers won an award as the best Fighting game. While playing this game you can experience pretty different graphics which you may never experience before. We can say that Transformers if one of the best Action games. You can download Transformers app from Google play store and it is free of cost. Transformers Android app is rated as 4.6/5 according to its users. The application that has gained the best accessibility experience is one of the best known in its sector is IFTTT. It allows us to create a million different recipes to do different things on your mobile. You can download IFTTT app from Google play store and it is free of cost. IFTTT Android app is rated as 4.2/5 according to its users. This application has the greatest social impact and allows us to be more aware of what is happening in the countries where there are many children with malnutrition. You can download Share the meal app from Google play store and it is free of cost. Share the Meal Android app is rated as 4.8/5 according to its users. These are the best android apps which won the best android app award by the Google Play in this Google I/O 2017. I hope this list will entertain you for sure. Let us know what do you think about these apps. If you are using any of these apps which are listed above, share your experiences in the below comment section. If you think any other app is best and should include on this list, write them in the comments below. We will include in this article in the next update. Which Android app do you use the most? Living in a new country is a fun and exciting experience. However, it is common to encounter some language barriers in the first few months of adaptation until we learn the new language. If you can control with English then it is not a big problem, but if you are not able to do that, for sure we need extra help. A translator application is an essential element when we have to understand another language. One of the biggest advantages of having a smartphone is that we can use it to translate any words, signs to our required language. Today we are going to introduce you to three applications which are essential to translate text with the camera. Yes! you heard it right. You can translate any language text to our language with just a camera. 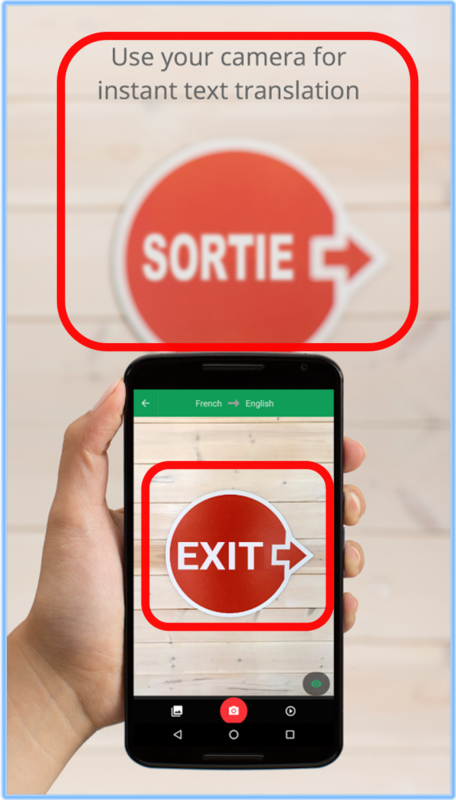 With these apps, you only have to focus the mobile camera on the text you want to translate and it will automatically appear in the image in the language you choose. The first application is a Google translator. Over the years there has been a lot of talk about the low level of Google’s translations, but over time it has progressed far enough to be one of the best free translators in the market. If we test this application we can see that it allows us to translate text that we write on the screen, translate our voice and even translate the text with the camera. The use of the camera is quite curious. 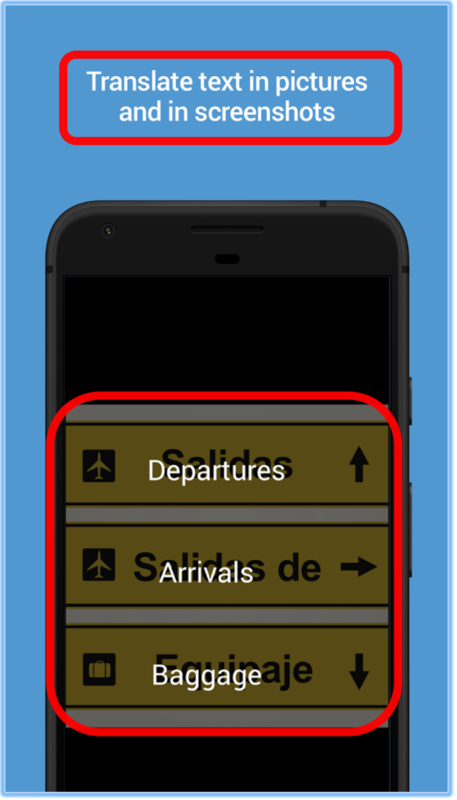 In this below image, you can change the language of translation and the language of the text you are going to enter. Also, you can use a voice translator, by just clicking on the voice (like button) on the translator. This is a web version. 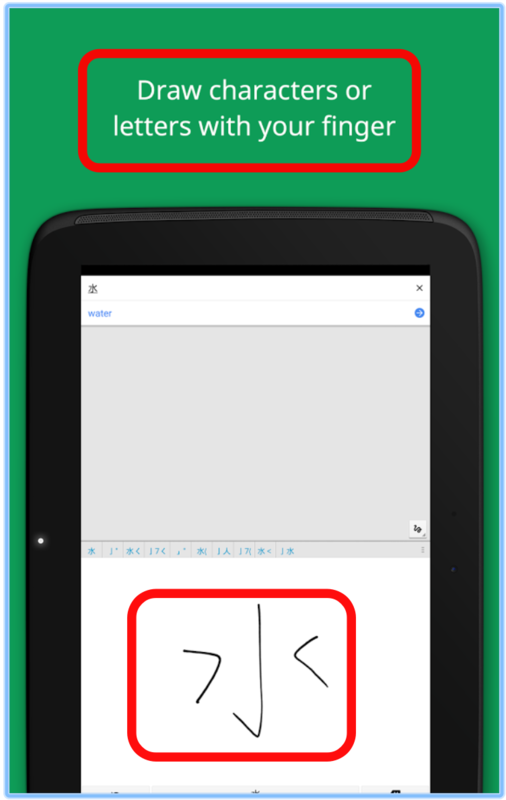 How to use the camera to translate text in Google Translator? Well, if we point to an image with the camera, it will alter the image in real time and shows the translated text in our required language. Amazing isn’t it? A highly recommended translator, which also has support for Android wear. 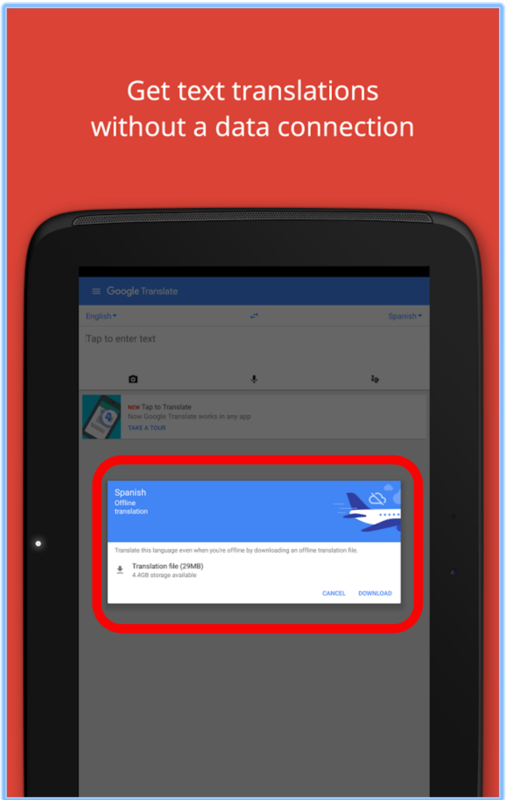 Google translator supports both Android and iOS devices. Do not recognise handwriting very well. But, to some extent, it does well. With the help of a camera, it will only work well with posters. The main competition of Google in Android is none other than Microsoft. The guys from Redmond have come up with an alternative to the Google translator that is also free and very complete. Like the Google translator, it allows us to translate text and audio, as well as being able to translate text with the camera. It is also compatible with Android Wear and allows us to send messages in another language to our watch. This is a very curious feature. Isn’t it? You can use Microsoft translator for your personal use or for Business purpose. Microsoft Outlook shows disconnected, How to Resolve it? How to use the camera to translate text in Microsoft Translator? Regarding the translation of the camera, its performance is decent, although it is a little below its main rivals. The application does not translate in real time but takes a photo and analyses the text that is in it and shows the translations in the original text. Like the Google translator, it does not recognise handwriting very well. Microsoft translator supports both Android and iOS devices. 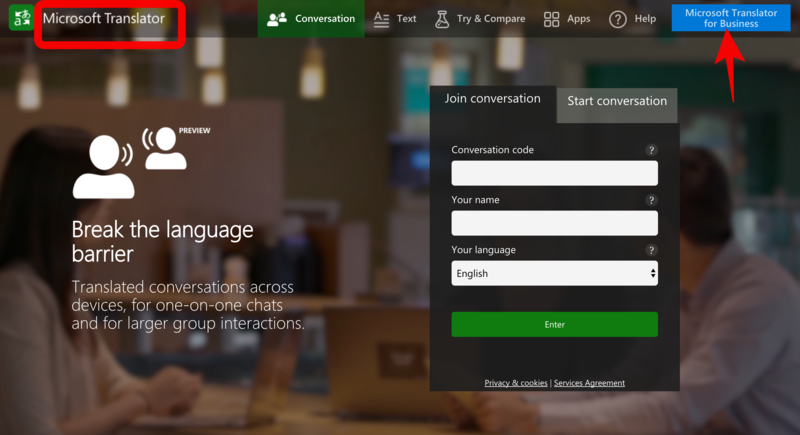 Microsoft Translator provides many tools such as, can translate speech conversation across two languages, can learn useful phrases and can have group translated conversations across the devices using speech and the text options. Finally, we have an application that along with Google and Microsoft could be considered as a small alternative, but still worth taking into an account. The app named as Camera translator and its main functions is to translate text with the camera. 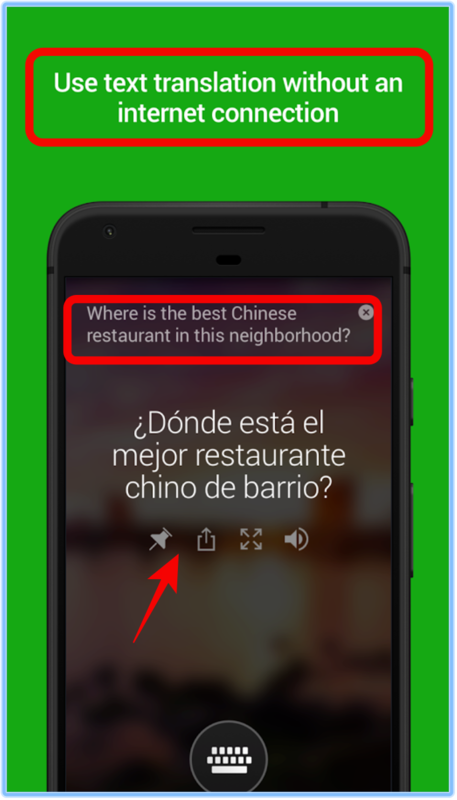 How to use the camera to translate text in Camera Translator? Camera translator only allows us to use the camera and needs an internet connection to do the translations. But the truth is that it has better optical recognition than the alternates of Google and Microsoft. The most important feature of Camera Translator is, it even recognises the handwritten text and shows the recommendations of similar words at the top of the screen. Camera Translator supports only Android devices. Only translates with the Camera. It does not support offline recognition. 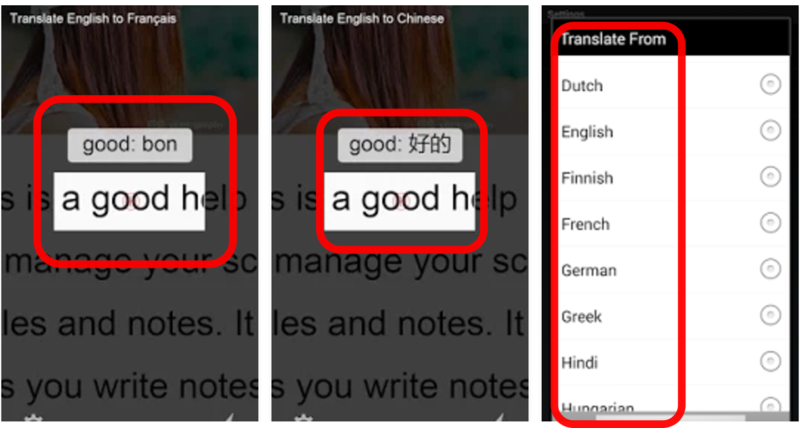 These are the three best apps which help us to translate any language text to our required language. If you face any issues while using these apps, let us know in the below comments. 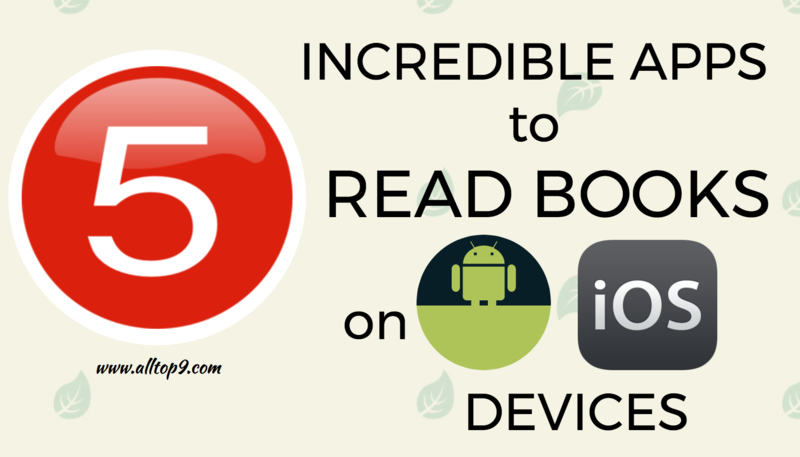 If you know any other best apps which translate any language text to our language, and worth including in this article, write them in the below comments. We will include them in our article in the next update. Which app do you use most to translate any language to our language?